Sadly, there are only 1,000 cases of the brilliant 2004 Lafleur (because of the strict selection implemented by proprietor Jacques Guinaudeau and his son, Baptiste). A blend of 60% Merlot and 40% Cabernet Franc, the 2004 presently possesses a certain austerity, along with fabulous concentration, and intense kirsch liqueur, licorice, truffle, and spice characteristics. Stunningly proportioned, medium to full-bodied, and powerful, it comes across like a modern day version of Lafleurâ€™s brilliant 1979. The aromatics can fill a room, but the tannins kick in in the mouth. Give this Pomerol 5-8 years of cellaring, and drink it over the following 25+. Tasted at Bordeaux Index annual 10-year on tasting from an ex-château bottle. 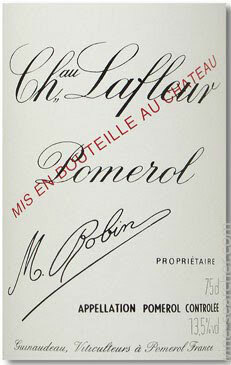 I have adored the Lafleur 2004 ever since I first tasted it from bottle. Here at ten years of age, it has an entrancing bouquet that has immense precision and nuance: blackberry, pomegranate seeds, cured meat later joined by cedar and sandalwood. The palate shows exquisite balance, the tannins beginning to soften and render this Lafleur more approachable compared to when I last tasted it. The finish fans out wonderful unlike other 2004s that seem more linear at this stage. This is one of the finest Pomerols of the vintage. Tasted March 2014.